Honestly, I have to say this trailer does nothing for me because I feel Disney’s churning out of remakes of its own movies is creatively redundant. Also, can this really be called a live-action remake? Surely this is as animated as the original? Anyway, check it out… I totally understand if you are excited for this, but I don’t get it. The battle for Pride Rock is ravaged with betrayal, tragedy and drama, ultimately resulting in Simba’s exile. With help from a curious pair of newfound friends, Simba will have to figure out how to grow up and take back what is rightfully his. 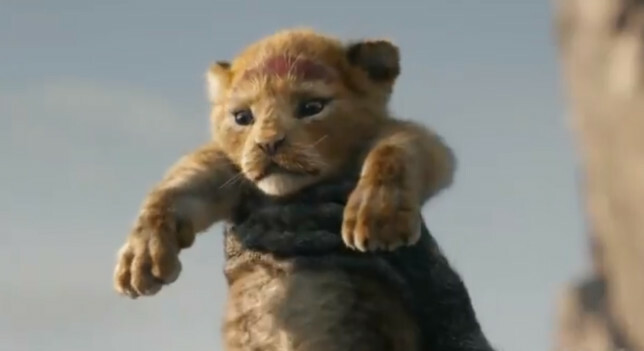 The all-star cast includes Donald Glover as Simba, Beyoncé Knowles-Carter as Nala, James Earl Jones as Mufasa, Chiwetel Ejiofor as Scar, Seth Rogen as Pumbaa and Billy Eichner as Timon.